Call our dedicated team of cruise specialists today on 0800 542 9023, we are here when you need us 7 days a week. As one of the UK’s leading specialist cruise agencies, we have over 50 years experience in offering quality cruises at the best possible prices. We are agents for all the major cruise lines and offer many tailor made packages with city stays and tours. 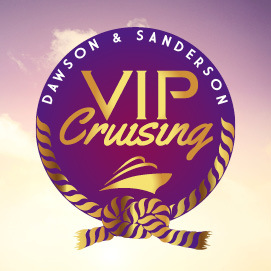 CruiseHarbour is Dawson & Sanderson's dedicated cruise deals website. Packed full of cruise holiday ideas with the world's leading cruise lines. CruiseHarbour have exclusive cruise savings, bonus deals and online discounts so you can find your perfect cruise here. Dawson & Sanderson have been established since 1962 and offer full financial protection to all our customers. We are members of ABTA, ATOL and ACE.